http://patreon.com/thorium Thorium is plentiful & can be used to generate energy without creating transuranic wastes. Thorium's capacity as nuclear fuel was discovered during WW II, but ignored because it was unsuitable for making bombs. A liquid-fluoride thorium reactor (LFTR) is the optimal approach for harvesting energy from Thorium, and has the potential to solve today's energy/climate crisis. LFTR is a type of Thorium Molten Salt Reactor (Th-MSR). 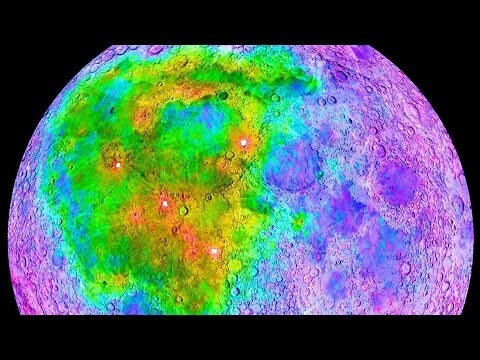 This video summarizes over 6 hours worth of thorium talks given by Kirk Sorensen and other thorium technologists. THORIUM REMIX 2011 starts with a 5 minute TL;WL summary, to hold you over until you find your Ritalin. YouTube Closed Captioning is available in English, and many other languages. See http://THORIUMREMIX.com/ for full list of multimedia source material. A: So-called "nuclear waste" or spent-nuclear fuel is produced in conventional (solid-core) nuclear reactors because they are unable to extract all of the nuclear energy from their fuel before they have to shutdown. LFTR addresses this issue by using a form of nuclear fuel (liquid-fluoride salts of thorium) that allow complete extraction of nuclear energy from the fuel. "Fluid Fuel Reactors", James A. Lane, U.S. Atomic Energy Commission, 1958. Thorium distribution on moon near side. Redder color is more abundant. Satellite surveys. 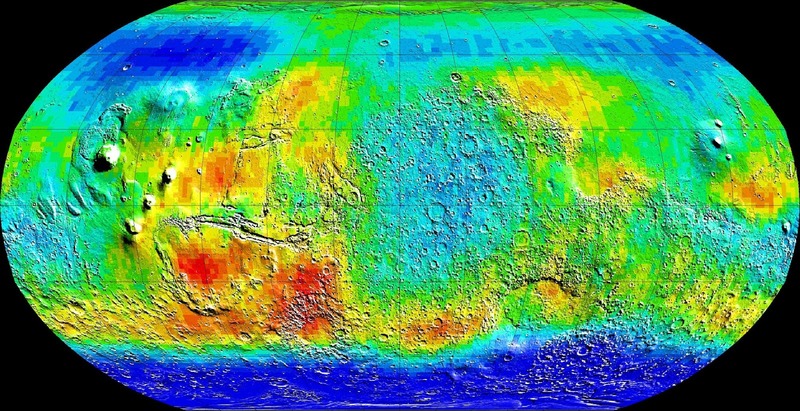 Thorium distribution on Mars. Redder color is more abundant. Mars Odyssey 2001 satellite survey.